I would to introduce Sir Elliot’s SL –1 Soft Clipping Limiter. The SL-1 was designed to tame Brass Instruments under live sound reinforcement environments. It will however easily adapt to the recording market. The SL-1 is more suited for Brass Instruments or female vocals that fall within the Alto range. Offering a soft limiting technology, distortion is minimised which makes it superb for Jazz & Salsa music. If Sir Elliot’s SL-1 sounds pleasing to your ears, you are more than welcomed to use it for as long as you like. 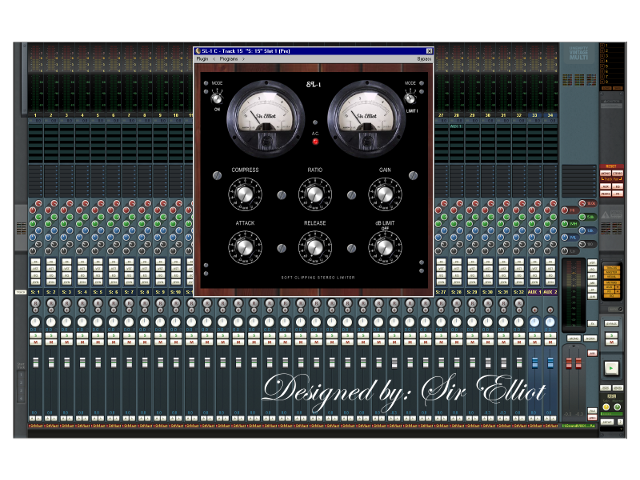 Sir Elliot Eighteen Band Graphic Equaliser E.H.